“Romance novel” is a useless phrase. Let’s just stick with “novel,” shall we? 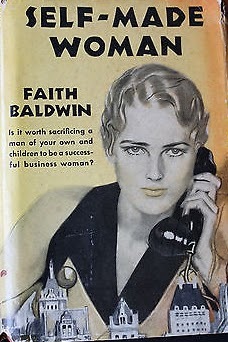 And thus we can take a look at one of the United States’ most successful writers: Faith Baldwin (1893–1978). 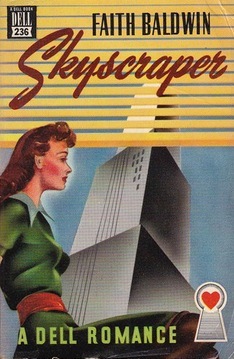 Over the course of her career, she published roughly 100 novels, wrote for various magazines and newspapers, and saw some of her novels turned into films (eg, Wife Versus Secretary 1936). Her first published piece (a poem) appeared in the Brooklyn Daily Eagle in 1907 (see below). Her first novel was published in 1921, and her final novel appeared in 1977. “She writes about people you know,” reads the copy from one of her novels. “The girl next door, the young man who rides down on the elevator with you, the people in your office.” Baldwin’s novels focused on women’s lives, their relationships, dreams, families, marriages, careers, and challenges of the modern world. The setting for the vast majority of her novels: Why, New York, of course! Brooklyn, to be exact. 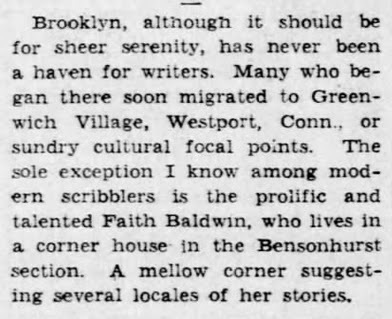 What Baldwin knew was Brooklyn. This was her hometown, her home, and her center. 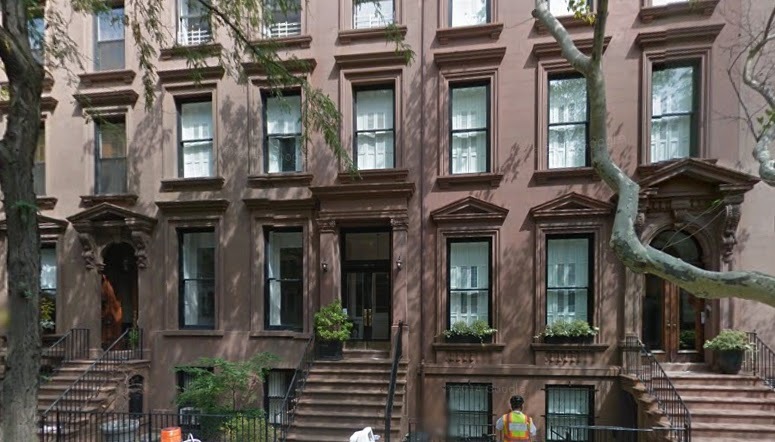 The Baldwins’ home in Brooklyn Heights (1900 Census) 266 Hicks Street. Although born in New Rochelle, New York, Baldwin was just three years old when her family first moved to Brooklyn. Their first home was at 266 Hicks Street, where she lived with her younger sister, Esther, her mother, Edith (a native New Yorker), and her father, Stephen C. Baldwin, a successful New York lawyer. 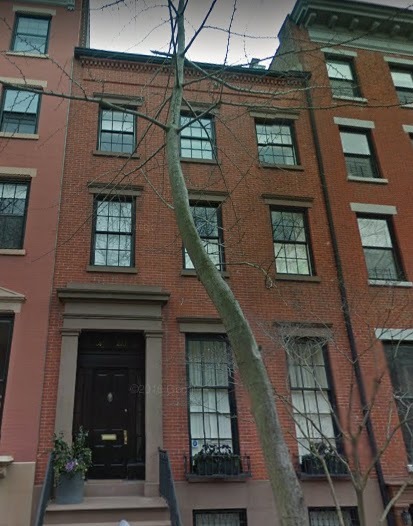 Later, the family moved (according to a 1905 New York census) to 105 Pierrepont Street, and finally, they settled at 73 Remsen Street. They were part of Brooklyn society. In fact, Baldwin’s name and activities regularly appeared in the society columns of the Brooklyn Daily Eagle and Brooklyn Life. Baldwin attended Brooklyn Heights Seminary and later Mrs. Dow’s School for Girls *(a preparatory boarding school) at Briar Cliff. Once she came of age, she would be among Brooklyn’s celebrated debutantes. 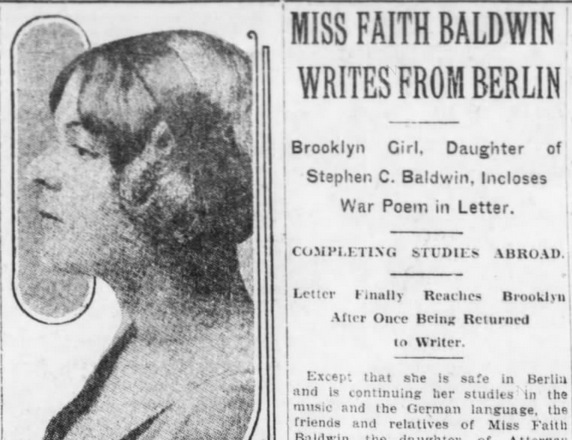 After the war, in 1919, Baldwin met the man she would marry. 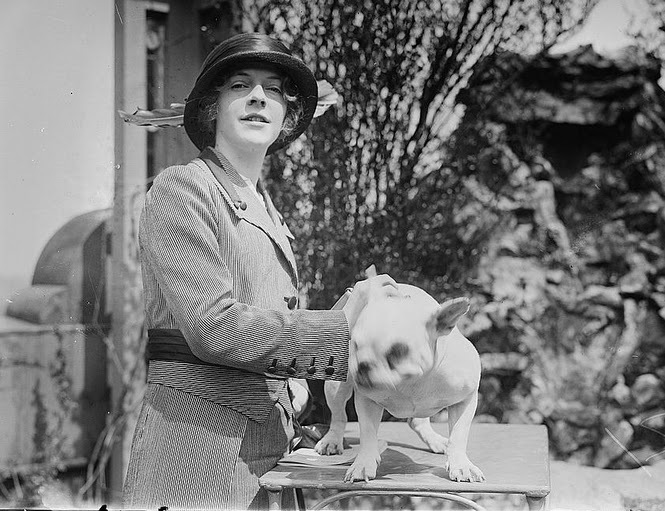 On October 13, 1920, at her family’s home on Remsen Street, she married Hugh Hamlin Cuthrell, a lieutenant in the U.S. Navy. Later, Cuthrell served as vice president of the Brooklyn Union Gas Co.
One year after her wedding, Baldwin published her first novel, Mavis of Green Hill. While she continued to use her maiden name professionally, her first novel also identified her as “Mrs. Hugh Hamlin Cuthrell.” This was something she soon stopped doing, sticking solely to the name Faith Baldwin from there on out. From then on, Baldwin wrote and published, setting her novels (mostly) in New York, from Manhattan to Brooklyn (and occasionally beyond). 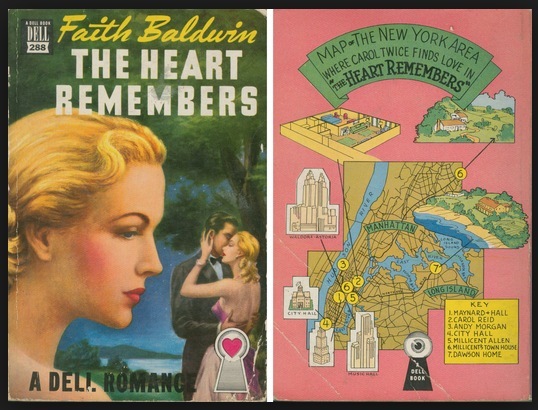 Baldwin’s paperbacks frequently made use of New York maps to identify the varied locations of the plots. 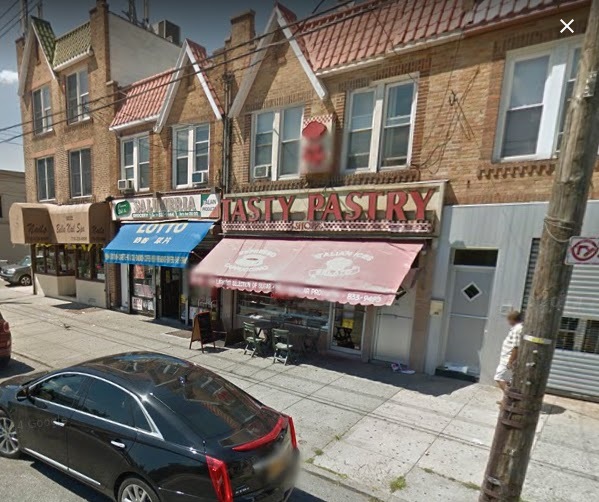 Early in her career, Baldwin, her husband, and first born son (along with a cat named Bootleg) lived at 8219 13th Avenue in the Dyker Heights neighborhood of Brooklyn. The house is no longer there. 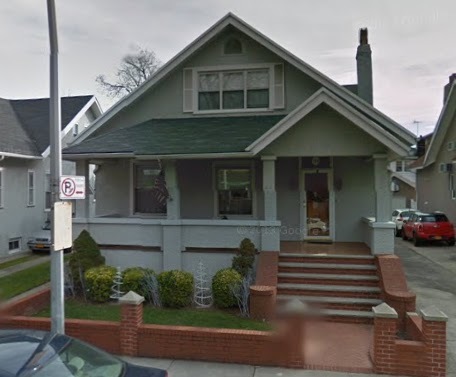 By 1930, she was listed in the US census as “Faith B. Cuthrell,” living at 156 97th Street in Bay Ridge. She was identified “as a writer of novels” with a reported annual income of more than $25,000. Brooklyn’s Bay Ridge neighborhood appeared many times in her novels, as did other Brooklyn neighborhoods. A woman who has a family and a career! Baldwin had four children: Hugh, Henny, and twins, Stephen and Ann. They kept her busy, but did not keep her away from her work. What critics would not seem to allow was the respect that was her due: she was, to use the title of one of her own novels, a “Self Made Woman.” She wrote because she loved writing, but her success was far more than coincidence. False Dilemma: In Baldwin’s Life There Was No Need to Sacrifice. Her novels reflected the tempo of the times for women who confronted new ways of being in a modern world. Indeed, many of the issues at the center of her work, namely the balance between work and “home,” are still discussed today. While Baldwin lived out the true possibility that yes, women could have it all, she also seemed to serve as an example to other women that they could do it well and entirely successfully. Still, she was often critical of the modern woman, arguing that women of today needed “protection,” noting that, especially in the “big city” with its various trappings that could destroy innocence, women needed to be shielded and careful. 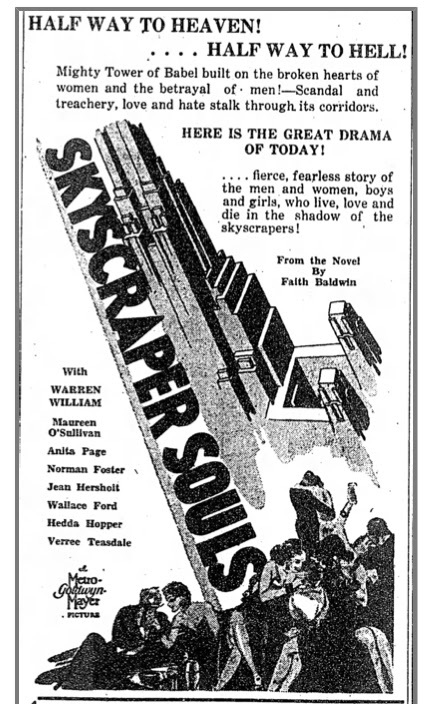 The 1932 film “Skyscraper Souls,” based on Baldwin’s novel, Skyscraper, typified this attitude. 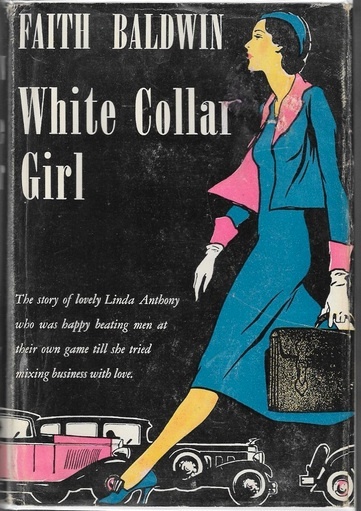 Both novel and film were cautionary tales for women eager to “make it” in the big city. Beware! Modern Women Please Take Note of the City’s Dangers! Despite Baldwin’s rather conservative bent on certain issues, she was decidedly enlightened on others. 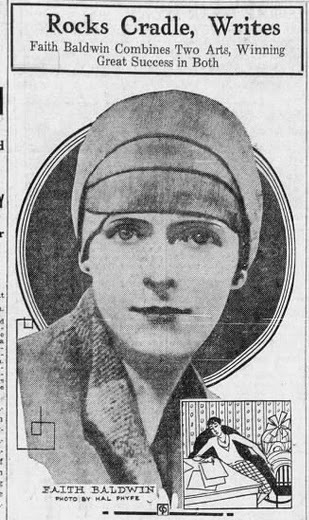 “I can’t for the life of men,” she wrote, “see how any thinking person can contend that a marriage from which love and respect have disappeared should continue.” (“Author Approves Divorces Where Love Has Vanished,” Arizona Daily Star, January 27, 1931.) Such a view on the contentious issue of divorce was not entirely rare, but it reveals the complexity of Baldwin’s views. Thus, while Baldwin often seemed to advocate for “traditional” (conservative) hierarchies between men and women, husbands and wives, she also supported the idea that women can undertake serious careers. Despite the press’ characterization of Baldwin as wife and mother, she was in fact more mother than wife. In reality (and almost secretly) Baldwin and her husband were separated for decades, although this information was not widely circulated. It was only upon his imminent death in 1953, that the couple reconciled. 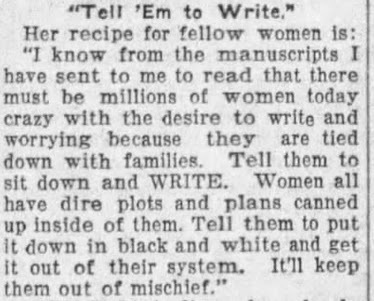 In offering her “recipe for fellow women,” Baldwin encouraged other women to write. The New York Times would later characterize Baldwin as “one of the most successful writers of light fiction on the American scene,” (NYT, March 19, 1979). Whether her work was “light” or not can be disputed. But her influence was clear. O.O. McIntryre’s “New York Day by Day,” May 28, 1935. * Mrs Dow was Mary Elizabeth Dunning Dow, formerly of the exclusive Porter School in Farmington, CT.